Welcome to Harlem Auto Parts & Paint. We are your local family owned CARQUEST Auto Parts store. We have been your locally owned auto parts store since 1975. 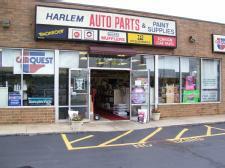 At Harlem Auto Parts & Paint, we deliver what our customers need: quality auto products, competitive prices, and knowledgeable people.